Greater Greens BSNL layout Devanahalli Doddaballapur road is located right on the 6 lane National highway near to Bangalore Rural DC Office. A Straight journey from Bangalore via National Highways (NH-7 and then NH-207). To speak with our Expert regarding BSNL Employees and Citizens House Building Co-Operative Society Ltd norms and regulations kindly fill up below details. 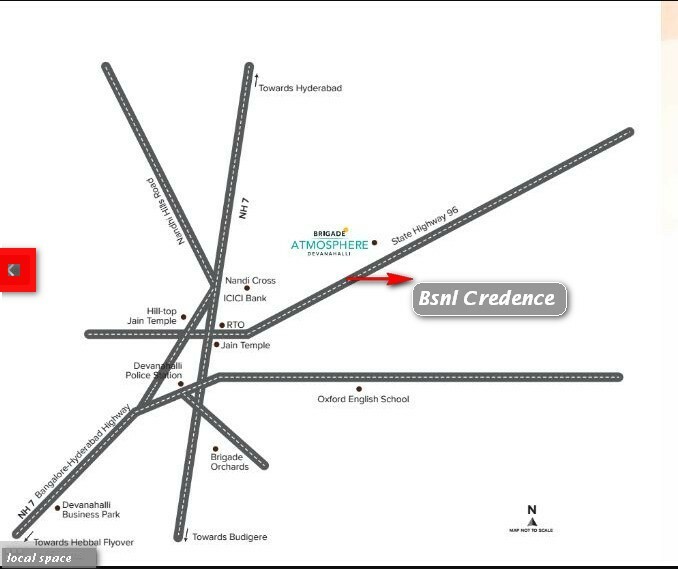 Why should You Invest in Greater Greens BSNL layout Devanahalli Doddaballapur road ? 3) Location of this layout is excellent. The housing society was set up in the year 2012. The registered number is JRB/RGN/24/41774/12/13. Layout formation strictly adhering to BIAAPA norms and specifications. Wide tar roads (80,60 & 40 feet roads) with foot- paths and Street lights. Every plot will get independent electricity, drainage and water connection. Club House which houses Gym, Swimming Pool, Meeting rooms and play area. Plenty of Parks, Tree plantations and Landscape gardens around the layout. Overhead Tanks with sufficient Bores. The following table provides the clear information regarding the installment payments to be paid by the members. Kindly note that allotment of sites will be as per seniority based on the initial down payment and timely payment of subsequent installments. Installments to be paid every 10 months once. Lifetime Membership Fee is Rupees 2500/- per application. Only one site can be booked per application. Contact:+91 9035611299, +91 By :Vidyadhar Naik. Government should consider following factors while doing any amendments in the existing co operative housing society act. 1 Change of usage of land should be done on a single window scheme by appointing a separate agency. This would cut down time spent in processing all documents among various departments. 3 Percentage of Associate membership should be increased in order to facilitate outsiders with state domicile to buy plots from these housing societies. 5 Developer should register all plots in the name of society. Last minute tussle between Developer and Society should be avoided. 6 Society should not charge additional amount on the basic land cost as mentioned to its members. 7 Society should publish its progress report on acquisition of land and development activities on periodic basis to its members. 8 Members Investment should be safeguarded in proportion of land acquired by the society. State Government should mitigate on these problems, site seekers should get sites on time. Co-operative Housing Societies in Bangalore can be a model to other housing societies in the country?.